Sony continues to be an innovator in the digital camera market, with the huge electronics company offering a wide variety of compact, mirror-less and traditional DSLR cameras using innovative technology developed over years in the consumer electronics business. The Sony a77II, which was introduced in 2014, is another home run for Sony and is an improved version of the company’s widely successful a77 digital camera, which was well received in the market place. 3 Is the A77II Worth the Investment? The heart of the a77II is the updated 24.3 megapixel CMOS sensor, which captures images in the APS-C or cropped sensor format. The sensor, which is significantly smaller than a traditional full frame sensor, is less expensive to manufacture, resulting in a more affordable camera body. While smaller, these sensors are very capable and produce excellent image quality, at a wide variety of ISO settings, including those used in dark lighting conditions. The sensor used in the a77II has a crop factor of 1.5X, which means that a traditional full frame lens used on this camera will be longer than it would if used on a 35mm or full frame camera. An example of this would be a normal 50mm lens used on the a77II would capture the same image as a 75mm lens used on a full frame lens. Crop sensor cameras are widely used by professional photographers all of the time, especially in nature and sports photography, where it is not possible to get as close to the subject as the photographer would like. Everything about the a77II is about being fast, including the frame rate, processing speed, auto-focus system and shutter speed. The a77II is capable of shooting at an incredible 12 frames per second, which is a very high rate and is possible due to the a77II’s advanced Bionx X processor, which quickly processes and writes the files to the camera’s single memory card. The card format used on the camera includes SD, SDHC and SDXC, as well as several proprietary memory sticks offered by Sony. Autofocus (AF Point): The camera also features 79 autofocus points including 15 cross type sensors, cover approximately 50% of the viewfinder and are accurate and fast to lock on to the focus point. They also allow continuous shooting focus capability when shooting still and video images. The key to the focus system is Sony’s “translucent mirror technology”, which allows the light from the image being captured to fall onto both the sensor and the autofocus sensor at the same time. With traditional mirror cameras, there is a slight lag once the camera focuses on the subject and the mirror is raised to expose the AF sensor. The lack of this lag on the a77II is the primary reason for the camera’s incredible speed. Shutter Speed: The shutter speed found on the camera is very fast for a camera at this price point. While the a77II’s competitors typically have a shutter speed of 1/4,000 to 30 seconds, the a77II has a shutter speed on 1/8,000 to 30 seconds. Typically only professional grade cameras are capable of these speeds. Viewfinder: Somewhat related to the “translucent mirror technology” is the camera’s lack of an optical viewfinder. Instead the A77II uses a superb 2,359k-dot electronic viewfinder that provides 100% viewfinder coverage. This is important when composing shots, as the image displayed in the viewfinder is going to be what the camera captures when the shutter is released. The viewfinder is also quick, responsive and bright as well as fun to use. In addition, the elimination of an optical viewfinder helps keep the cameras size and weight down. ISO Range: The a77II has a normal ISO range of 100-25,600 and is expandable down to 50 as well. However it is important to keep in mind that the image quality at high ISO settings is not that great, as the noise reduction software in the camera is pretty aggressive in noise reduction. This results in the images captured at high ISO settings being pretty soft. To be fair, this is an issue with most cameras despite the sensor used as there is almost always a reduction in image processing quality at high ISO settings. Display: The a77II has a 2.95” rear LCD where the cameras various menu functions are accessed. One of the unique features of the LCD screen is that it articulates three ways, allowing the photographer a variety of options when composing shots from holding the camera close to the ground or over their head. In the field the rear LCD is completely readable, even in bright sunlight. Video: As one would expect, given Sony’s dominance over the years in video technology, the video on the camera is second to none with the a77II being able to capture high definition video at 1,920 x 1,080 at up to 60 frames per second. The camera also has a dedicated video button to start video recording quickly. Control and Interface: The a77II has a number of other features that photographers of all abilities will appreciate. As one would expect, the camera allows a range of control options for the photographer to use ranging from full automatic to completely manual. In addition, there is a number of creative and scene selections pre-programmed into the camera, which allow the camera to optimize the image quality when the image is captured. One of the really useful features of the camera is the ability of the photographer to instantly recall via a dial, totally custom settings defined by the photographer and saved into the camera’s memory. This is a real time saver when compared to trying to recall these settings via the camera’s menu! Extra Features: While the camera does not have GPS, it does have camera built in WIFI, allowing the photographer to interface with a variety of other consumer devices. The camera also has built in image stabilization in the camera, which is somewhat different from other manufacturers that include the stabilization in the lenses. The camera does not have an autofocus motor either, as autofocus motors are built into Sony’s various lenses. The camera also has a robust build using a magnesium alloy shell covered with plastic and limited moisture and dust seals at the various connection points on the camera. While most serious photographers look at image quality over technical specifications, many feel that the specifications are equally important. The Sony 77II has excellent image quality, as well as technical specifications, which are shown in the table below. Creative Styles Standard, Vivid, Neutral, Clear, Deep, Light, Portrait, Landscape, Sunset, Night Scene, Autumn Leaves, Black and White, Sepia, Style Box (1-6). Contrast, Saturation and Sharpness all -3 to +3 Steps. *Information from Sony US website, including pricing. Is the A77II Worth the Investment? 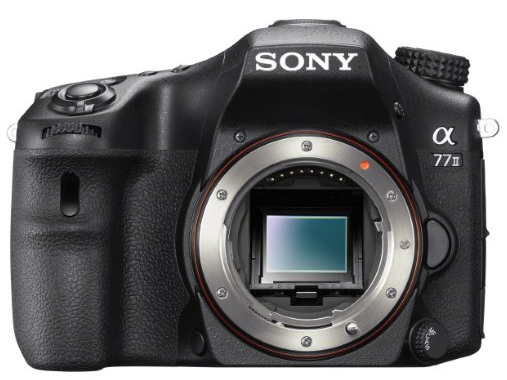 Sony continues to offer excellent options for camera systems and the a77II is an overall excellent camera. At a suggested retail price of $1,199.99 (or at a steep discount here) the Sony 77II is a camera that should be considered by anyone in the market for an advanced APS-C camera capable of capturing high resolution images and video. It is more than capable of competing with the various advanced APS-C cameras being offered by Canon, Nikon, Fujifilm and Pentax. In addition to the body only, the camera is available with either a DT 16-50mm f2.8 SSM or a DT 18-135.mm f/3.5-5.6 kit lens. This is an excellent camera with high-end performance and image quality. 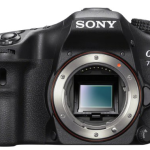 It is a significant upgrade over the original Sony a77! Sony HX80: Is This The Ultimate Travel Camera?